Get the Spain 2018 World Cup Kit for your dream team in Dream League Soccer and FTS15. As we know, the new collection is strongly inspired by the past, and the new one from Spain is based on that famous model that they wore in the 1994 United States World Cup. 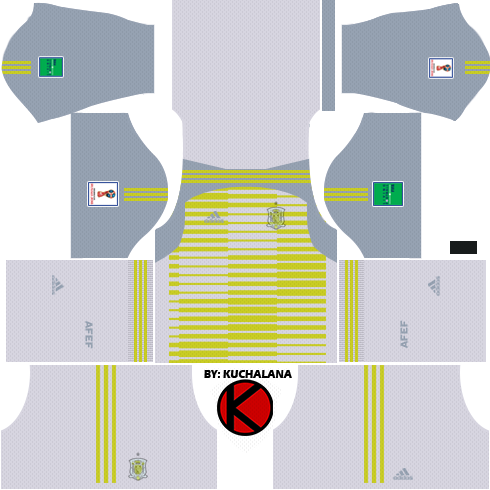 The shirt revives the colorful side design of diamonds in yellow, blue and red , using yellow for the shield, adidas logo and the three strips. 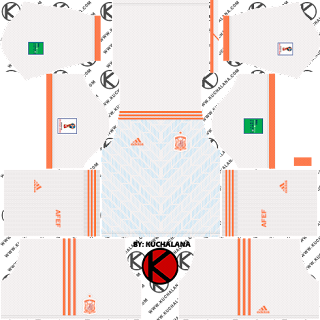 The uniform will have blue shorts and black socks with additions of the three strips in national colors. 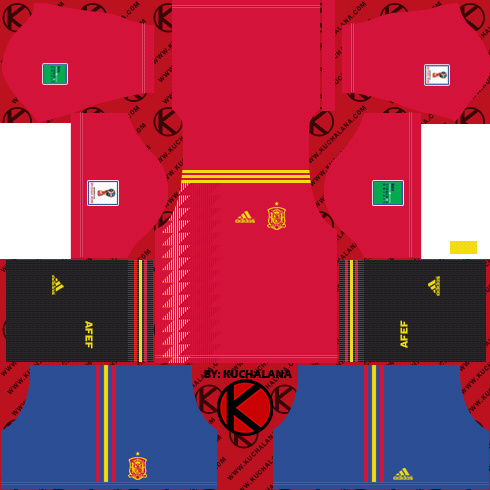 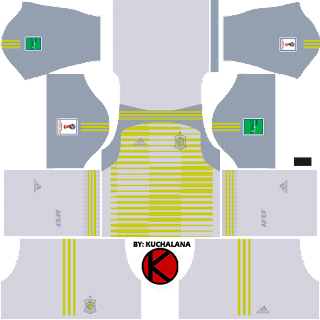 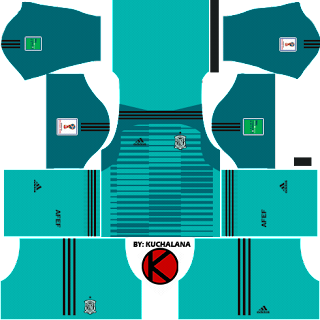 4 Komen untuk "Spain 2018 World Cup Kit - Dream League Soccer Kits"